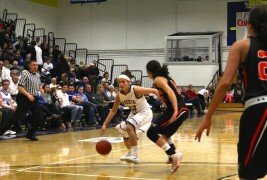 On Wednesday, February 4th, the Lady T’s took on the Jamestown Jimmies in conference basketball action. The game was a close contest and ended up going into overtime. Unable to overcome the Jimmies in OT, the Lady T’s dropped the contest 82-85.